Lodge Farm, home to a fre-energy AD system, is the first in the country to have received its Renewable Heat Incentive (RHI) payment from the Government. RHI payments are made to organisations producing and using their own thermal energy on site; Lodge Farm is using the energy to heat its large, 5-bedroomed farmhouse, the fre-energy offices and its engineering and production facilities. 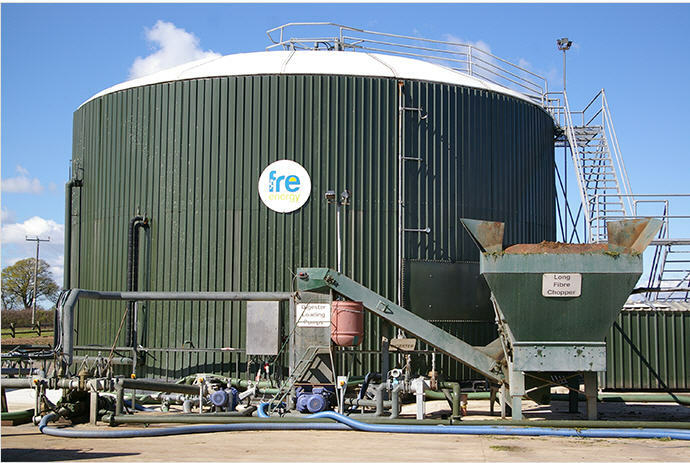 The fre-energy Digester generates a reliable and constant production of energy 24 hours a day, 365 days a year, with a generation capacity of 160kw of electricity and 200kw of heat. 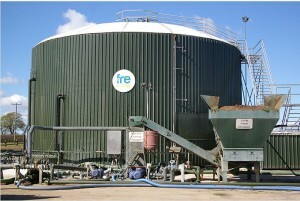 With the capacity to process 33 tonnes of farm slurry each day, this plant is unique in being able to continually process grit-laden farm waste materials, which would otherwise have to be disposed of.